From the original native Indians to the Spanish and Mexican Settlers, the city has had its share of culture that has influenced its personality. Within the beautiful boundaries of this southern California city, there’s also been an abundance of mystery, tragedy, darkness and ghosts. 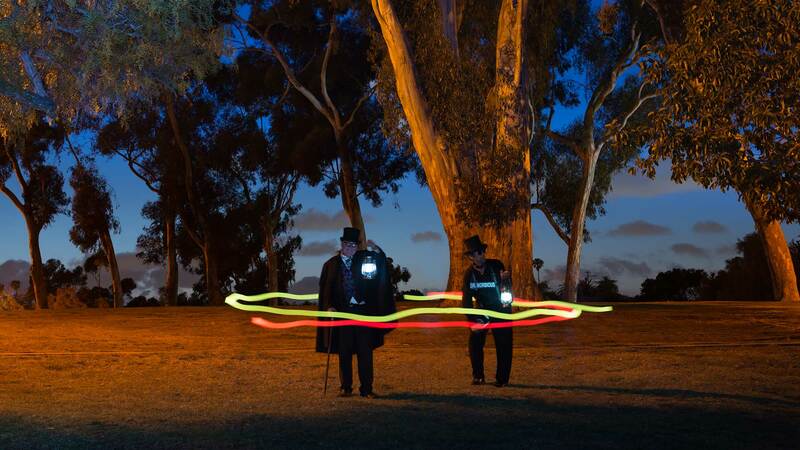 Read on to learn about San Diego’s most infamous ghosts. 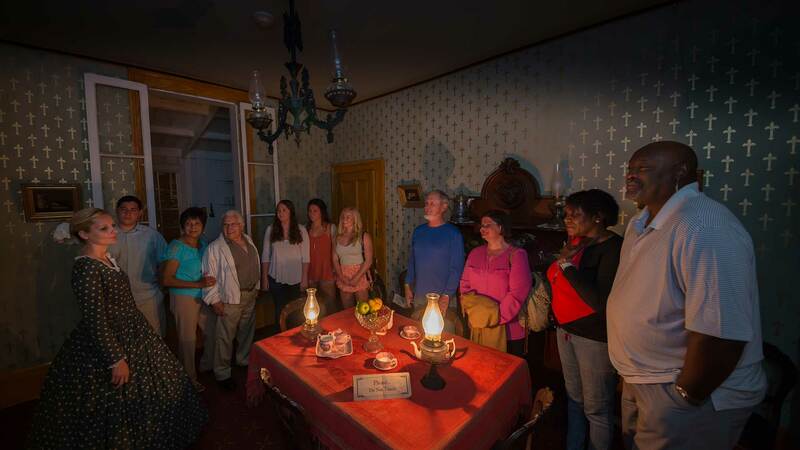 Known today as the Gaslamp Museum at the Davis-Horton House, this historic space is located in the historic Gaslamp Quarter of downtown San Diego. 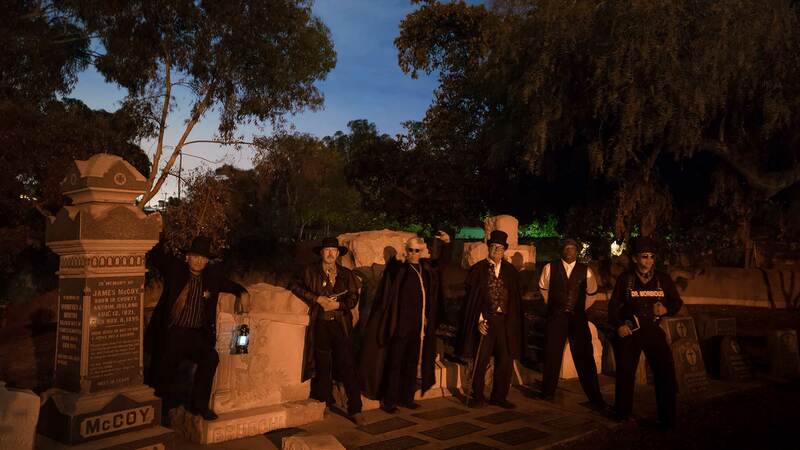 The spirits come alive this Halloween on San Diego’s most notorious tour… Ghosts and Gravestones. 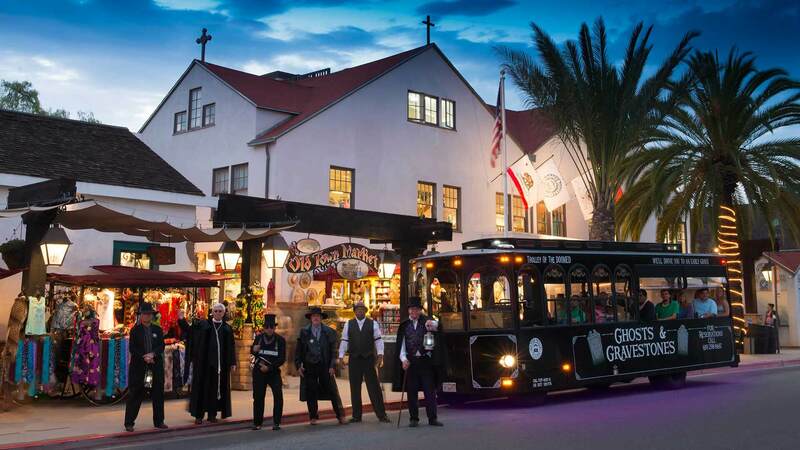 Take your seat on the trolley as our Gravedigger guides transport you back in time to San Diego’s past – and witness for yourself the paranormal activity, ghostly sightings and the unexplainable mysteries that surround some of San Diego’s most haunted sites. 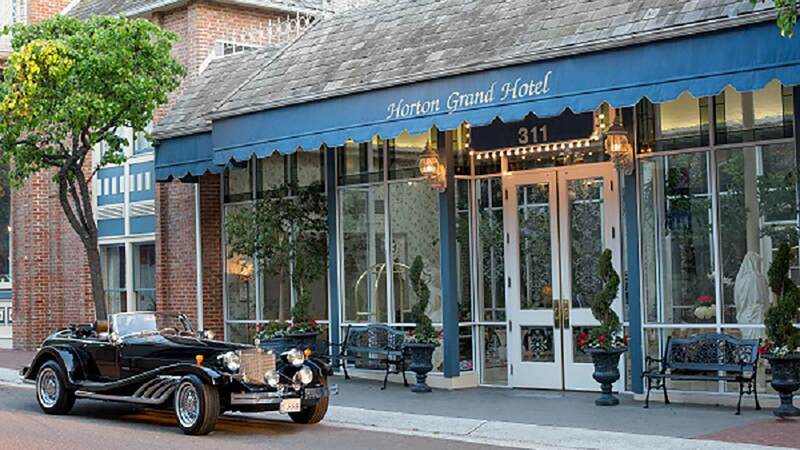 Known for its impeccable décor, including antique-period pieces, fine restaurant and attentive service. 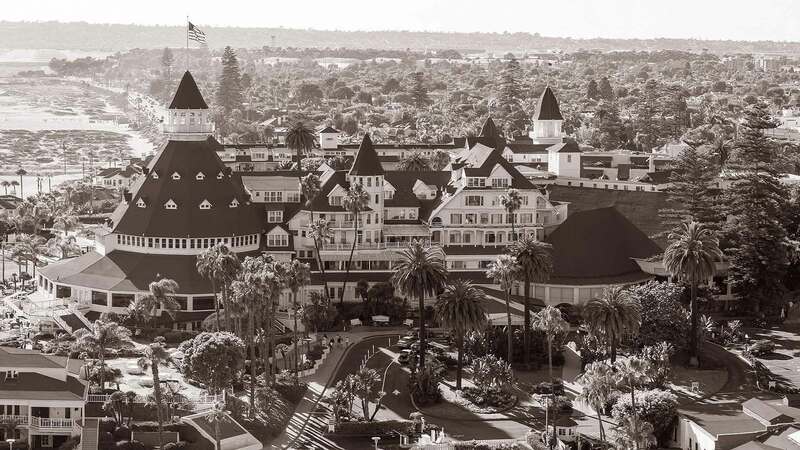 This historic hotel in San Diego has a rich past filled with glamour and intrigue. 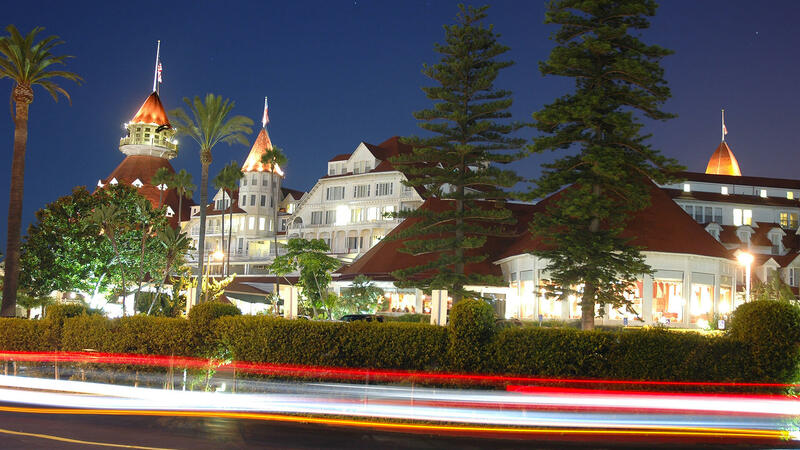 While on your San Diego vacation, make it a point to stop in – and keep looking over your shoulder; the restless souls of the dead could be waiting. 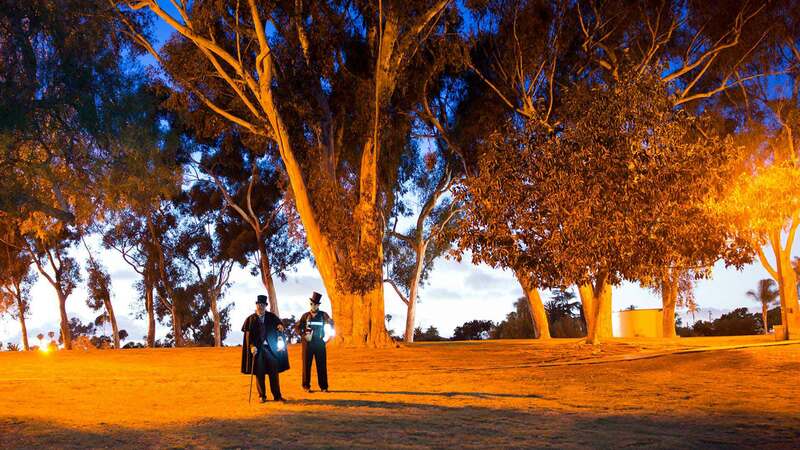 El Campo Santo Cemetery is a seemingly peaceful burial ground where many of San Diego’s deceased were laid to rest for all eternity. 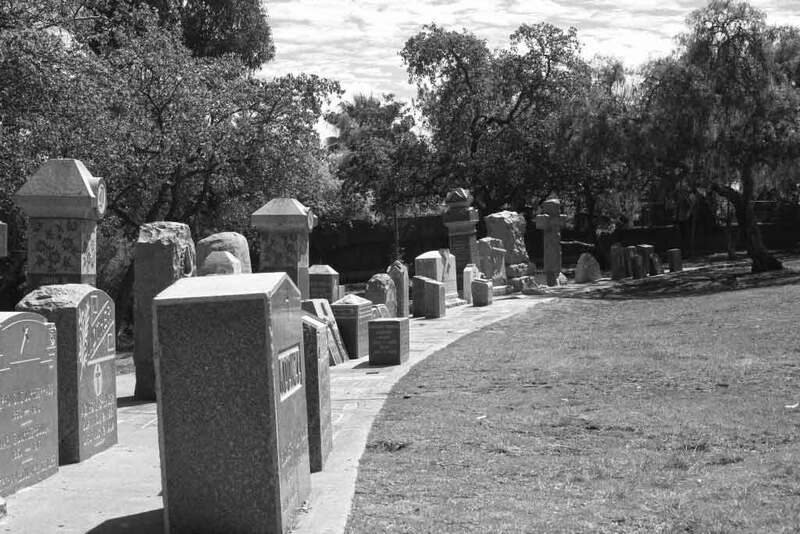 The cemetery, located in the Old Town San Diego Historic Park, was built in 1849 and was used until 1880. 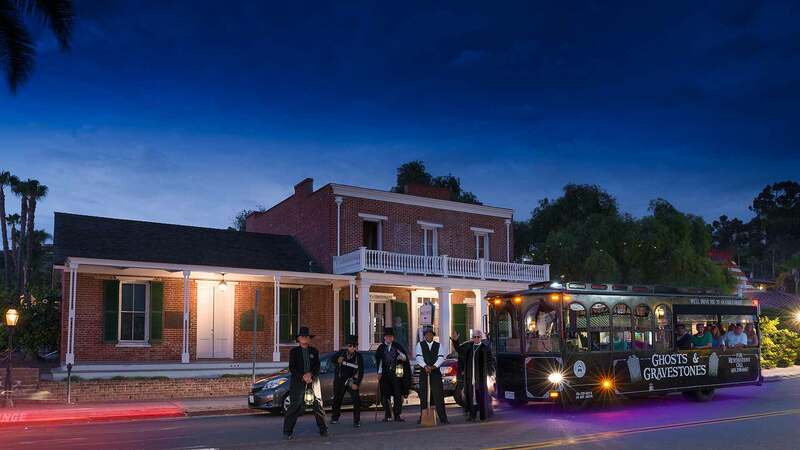 It’s just a few blocks away from the city’s most haunted building, The Whaley House. Founded as a Catholic cemetery, today only 477 of the original graves are still visible. It is said that the burial ground is only a fraction of what it used to be. 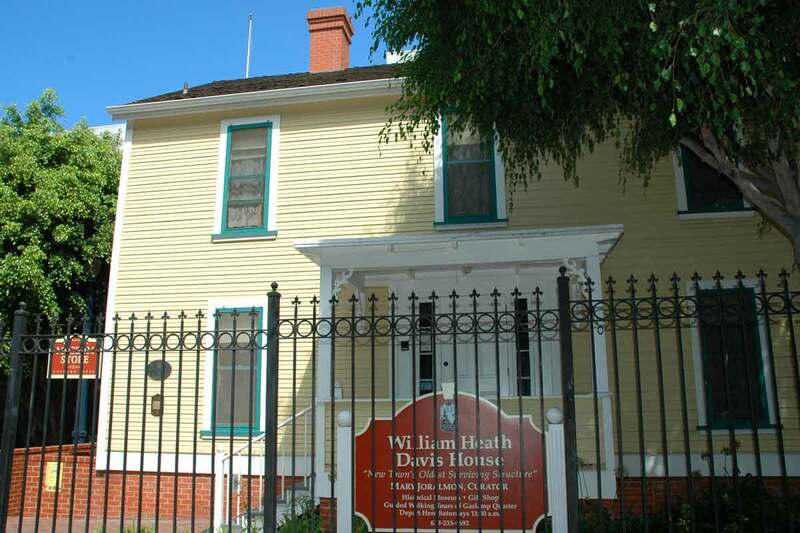 The most haunted of all San Diego places is without a doubt, the Whaley House. Read on to learn more about this famous house and why it’s known as The Most Haunted House in America.